Liza works in the Department of Nutrition and Dietetics, Faculty of Medicine, Nursing and Health Sciences at Monash University as a lecturer. Liza convenes Public Health Nutrition and Food Sustainability Systems units for BNutSci and MNutDiet. Liza is a co-convenor of Australia's Right to Food Coalition. Liza is an Accredited Practising Dietitian with over a decade of practical experience in Community Dietetics and Public Health Nutrition. Liza has worked in the Pilbara and Gascoyne regions of remote Western Australia, Alice Springs, the Kingdom of Tonga and Metropolitan Melbourne. 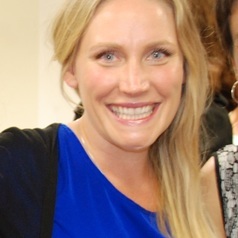 Liza worked as the National Nutrition Programs Manager at SecondBite, a non-profit food rescue organisation where she developed, implemented and evaluated two programs which strengthen capacity amongst individuals experiencing hardship throughout Australia. Liza's research interests involve supporting Australia's charitable food workforce to address the determinants of food insecurity and working towards a food system which is healthy, sustainable and equitable. The relationship between food security and social inclusion: are dietitians seeing the bigger picture?